Traditionally, the urban neighborhood is thought of as a collection of buildings held together by adjoining space. To see the site really thrive, Downtown Orland Park must become a combination of experiences which work in concert to enhance both the lifestyle of the end-users, future residents and broader community of the Village of Orland Park. The quality of the place must be challenged to exceed the market in being resilient, adaptive, and flexible. It will also serve as a catalyst for future development in the immediate area. Downtown Orland Park is envisioned as a new community gathering place composed by pedestrian-scaled buildings supporting a mix of retail, entertainment, commercial, cultural, hospitality, and residential uses adding flexibility, strength and resiliency to Orland Park’s social and economic vitality. Today’s highly selective consumers, renters and office users are searching for an experience that provides value and high quality in a unique setting. A successful mixed-use, pedestrian environment at this location must feel authentic to Orland Park while providing an experience unavailable in the region. This development proposal crafts an aesthetically cohesive vision for the local neighborhood while complementing and strengthening the broader community as a whole. 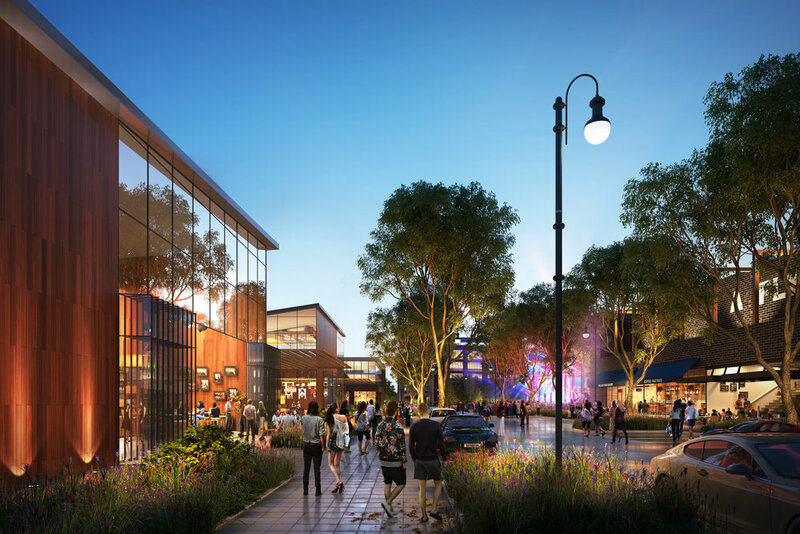 The landscape experience for downtown Orland Park expands the existing vision that was established in the design of LaGrange Road, Ravinia Avenue and Jefferson Avenue, responding in a manner that complements future uses and proposed buildings throughout the new downtown. 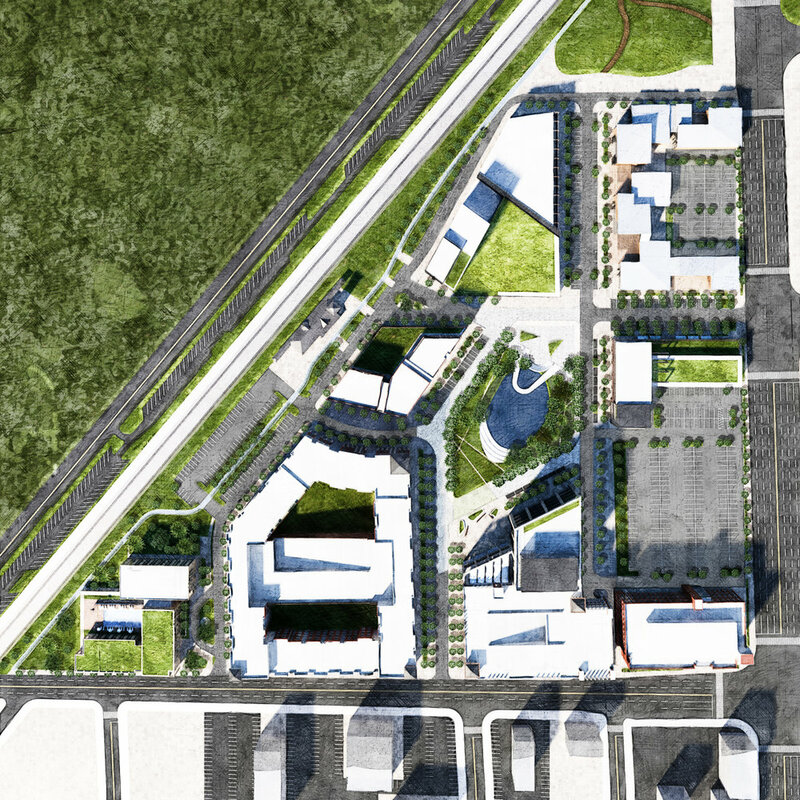 Specialized landscape elements include curbless streets, bike lanes, a centralized community park, public plaza, amphitheater, and a splash park which will energize the downtown and serve as a gathering place, business center, and cultural hub for Orland Park.